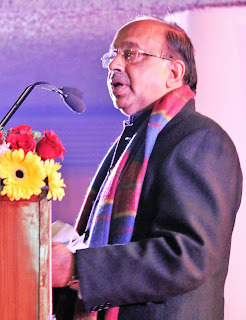 Vijay Goel – Hon'ble Minister of State for Statistics and Programme Implementation inaugurated the two-day TCS – Pan IIT Conclave 2019. The theme of the conclave is - Artificial Intelligence: What does the future hold for India? Mr. Goel reinforced the application of AI and ML across industries to propel India to be future ready. Taking this thought further, K Ananth Krishnan, Chief Technology Officer, TCS, and the key note speaker, shared his vision for AI’s future in India. The conclave is being organized by PAN IIT Alumni India (PIAI) and has brought together leaders in academics and research, business and industry, and policy-makers. The platform helped dive deep into challenges and opportunities with AI. It helped build a framework for implementation of AI in several industries. The recommendations from the conclave will be actioned along academia, government, industry and startup partners by the PAN IIT AI forum in the coming months. Various sessions through the day, covered the importance and growth of AI across sectors. The session on AI for Social Goodwitnessed a riveting discussion addressing the fears associated with the new technology. 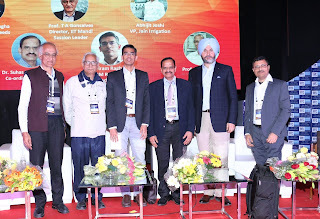 The eminent panel led by Dr. P Anandan, Chief Executive Officer, Wadhwani AI highlighted that the new technology need not necessarily compete with us and rather complement our efforts to magnify the positive impact for betterment of the society at large. Eminent leaders like Ajay Sawhney, Secretary, Ministry of Electronics and Information technology were part of the session. 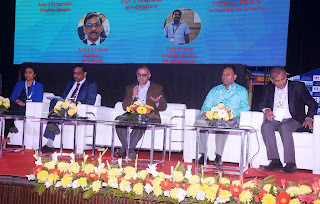 Artificial Intelligence has transformed the manufacturing industry in more ways than one and the session on AI in manufacturing saw a gripping discussion on the contribution of AI in defining the future of the manufacturing industry as well as the potential challenges that must be addressed. Session Leader, P P Chakraborty, Professor - Director, IIT Kharagpur shared his thoughts and emphasized on prognosis in manufacturing and its significance in quality, safety and lastingness of tools used in manufacturing processes. In the same session, Dr Satyam Priyadarshy enunciated the importance of digital twin in the manufacturing industry. He deliberated on how a digital twin continuously learns and updates itself using sensor to optimize operations & maintenance of manufacturing processes. He said that building self-healing system is the future of oil & gas industry. As we become increasingly dependent on the technology and it embeds deeper into our lives, we also expose ourselves to higher vulnerability owing to possibilities of hacks, systematic biases and breach of data privacy. Thus, making it imperative to understand and create boundaries and regulatory frameworks for technology and these were discussed at length during the session - Ethics, Privacy and Security of AI Systems. Session leader, Prof. Rajat Moona, Director, IIT Raipur further elaborated on the concern. Drawing analogy with fundamental rights, elaborating on the fact why government and private organizations ought to levy judicial control of data, Shyam Divan, Sr Advocate, Supreme Court said “Lot of rights are interdependent. If you pluck one away, the others get impacted. For instance, if freedom is speech is impinged, then other related rights like freedom of movement, making political and religious choices get affected. Hence, control on data comes with a rider.” He suggested a thee point framework to identify core institution values; environmental values and values related to national and public interest. 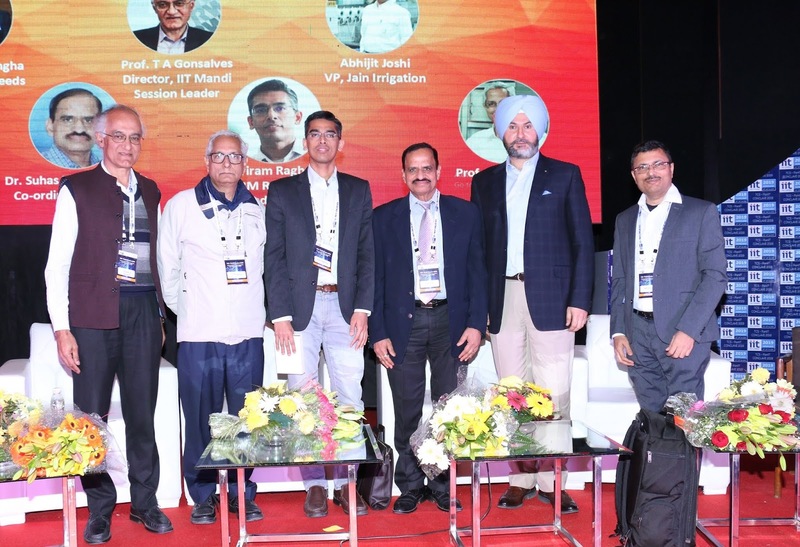 Finally, the Session AI For Agriculture highlighted the potential of technology to enhance the efficiency and productivity of the agricultural sector. Right from selecting seeds to harvesting crop, AI holds potential to complement human effort at each stage of the farming industry. Accurate weather prediction, soil monitoring, early detection of pest infestation and disease identification are other areas of successful application of AI. The session was led by Prof. T A Gonsalves, Director, IIT Mandi further elaborated on these efforts. Professor T V Prabhakar, CSE, IITK said that, ‘A farmer’s consistency doesn’t depend on one crop. In order to edify the agriculture sector, all we require is vision and leadership. Sriram Raghavan, VP, IBM Research & CTO IBM India/South Asia said, “We need digitization in agriculture accompanied with educating our farmers about its use”. -The first PanIIT AI Hackathon 2019, that aims to promote AI and ML among the wider community of young software and AI professionals and showcase the talent among them. -An exhibition area to provide an excellent opportunity for exhibitors to interact directly with the delegates, comprising of eminent IIT alumni, policy makers and heads of large companies. -Bring IIT alumni together and promote friendship and fellowship among them. -Contribute to fast economic growth of India, and nation building. -Disseminate knowledge regarding education, technology trends, and industry and economy management. -Convene conferences/seminars on education, learning technology and other sciences, and to help sharing of experience and views.